And so forth. The bottom line is this: it is clear that the Health Reform Bill was not only an important milestone in the history of the United States, but also raises significant political, social, economic, and cultural issues, and thus embodying these issues within the fabric of the nation. 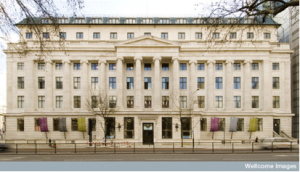 The Center has been committed to furthering the knowledge of medicine’s history in health and illness, not just in the United Kingdom, but also in other nations as well. The Center has produced and led by some of the most eminent historians of medicine, historians whose texts and articles built the bedrock of history of medicine courses. The late Roy Porter, wrote and edited over a hundred books and played a pivotal role in producing a new generation of social historians of medicine. Historians William Bynum, Vivian Nutton, Janet Browne, Christopher Lawrence and other wonderful scholars have worked and studied there—so has a great number of graduate students and postdocs. This is evident from the number of international scholars expressing their support against the closure. Having already expressed worries to my fellow peers at the Institute for the History and Philosophy of Science and Technology about the place of history of medicine in HPS departments, this announcement came as a tremendous blow. I imagine its worse for those who risk losing their livelihoods with the closure, or those academics, like my supervisor, who were once trained at the Center and may lose a part of their (academic) identity. Yet, for me, this announcement places the future of the history of medicine on immensely shaky ground. To make matters worse, no reason has given for the closure—although fiscal considerations are probably the culprit— nor has a debate been held prior to the announcement.